A name isn’t just grouping several letters of the alphabet used for identification. Based on the letter and their placements, it can provide enlightening insights into the goals, dreams, and personality of the bearer. Below we’ll break down the meaning behind the letter O according to numerology. O, along with A, J, and S, is the most powerful and influential letter of the alphabet. It’s associated with six, the ‘mother’ number, which symbolizes service to others, which can be achieved through nurturing, love, and protection. All these attributes influence the O girls significantly. The O girls are benevolent, truthful, intelligent, and have a magnetic personality. They do not think twice before fighting for their ideals and principles, especially when it concerns the welfare of others. The only drawback of this letter is that the O girls can become a bit ‘drama queen’ at times. Whether it’s the Italian name Octavia or the Shakespearean name Ophelia, there’s something special about names starting with the letter O. 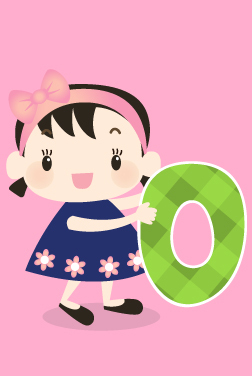 Even MomJunction's list of baby girl names starting with letter O, are anything but ordinary and will make you fall in love with your little angel over and over again. Take a look!